Economize R$ 38,24 (75 %). Comprar eBook Kindle. My World is not Your World is an autobiographical account which maps my challenging journey, with its many twists, from lost child to despairing teenager all the way to successful research scientist. My path was strongly influenced by Dyslexia and Autism Spectrum Disorder, and also some tenacity and a little humour! This second edition includes all the material in the first edition, published in 1998, which describes my life up to the age of 26 years old. During these first 26 years of life nobody understood me, which led to a great many misunderstandings and significant difficulties at home, with my education and in most aspects of life. In this second edition, published in 2017, I describe my steps away from the fringes of society where I was depressed, isolated and unemployed, to a place where I could engage with life, gain a university education and a full-time job. My perceptions of the world around me are very different to most people's. I describe these alongside the ways that I overcome such obstacles. I hope, through my experiences, to help others like myself to be better understood by themselves and those around them. "I looked out into the world, unable to make coherent sense of all the mesmerising fragments of sound, images and words." "The world, all those who knew me, were baffled as to why I was different, unable to do so many ordinary everyday things." "Meanwhile, so that I could express myself, I desperately searched for understanding and consistency." 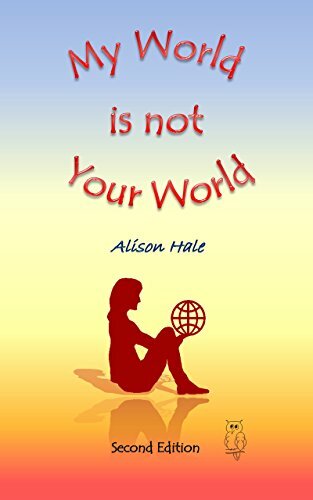 Comece a ler My World is not Your World (English Edition) no seu Kindle em menos de um minuto.